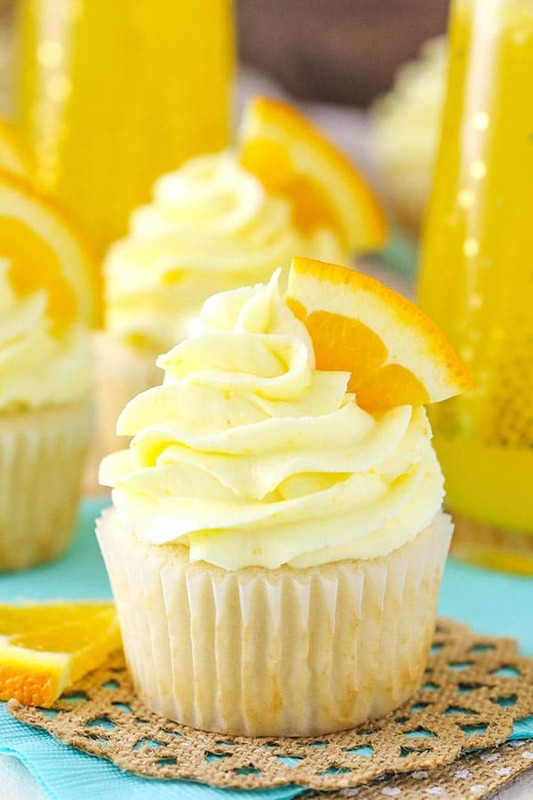 Easy Mimosa Cupcakes Recipe | Boozy Cupcakes Perfect for Celebrating! 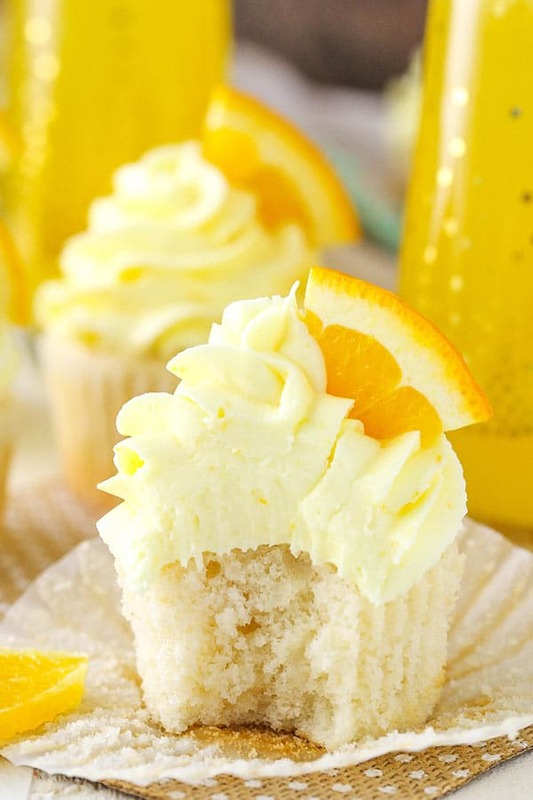 These Mimosa Cupcakes are made with a moist champagne cupcake and fresh orange frosting! They are fun cupcake recipe for any time you want a little bubbly! But after one round of de-cluttering while packing and another round when we first were unpacking, I’m finding myself on yet another round. And I’m not so sure this round feels quite as nice. 🙂 Hopefully the third time is a charm though! Even though we actually have more space in the new house, we went from having separate closets to a shared closet, which ultimately means less closet space for Lindsay. I have to say, she’s not the biggest fan ever. But I’m trying not to be totally obnoxious about it and am instead on another round of de-cluttering. To be fair, the things I’m getting rid of/donating are really things that haven’t been used in so long. I’m just a bit of a pack rat and always think I’ll use things again one day. Like I’ll definitely fit into those old jeans again one day. 😉 I’m having to come to terms with the fact that I likely won’t. Especially given all the changes my body is going through with pregnancy, it’s actually much easier to believe that it will just not happen. One thing I’ve missed over the holidays is champagne and mimosas. I tend to share them with my mom this time of year, but haven’t been able to partake. Instead, I enjoyed a cupcake. Hopefully you can enjoy both. Champagne in your glass and in your cupcake! 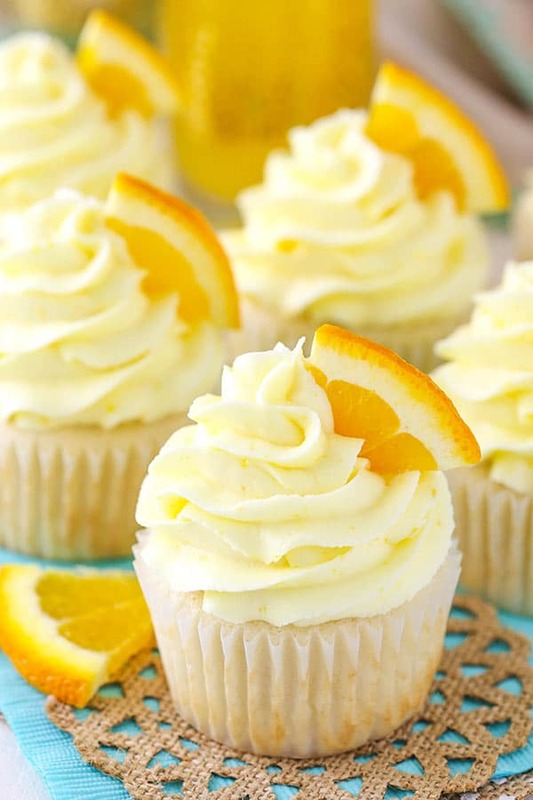 And as far as cupcakes go, these are moist and delicious with great champagne flavor. To get a good champagne flavor, you actually start out with a full cup of champagne that gets cooked down over the stove to half a cup. It doubles up on the champagne flavor so you can definitely taste it and enjoy! The frosting is where the orange flavor comes in and uses orange zest and some freshly squeezed orange juice. I decorated them with some orange slices, but if you decide to make them for New Year’s, they’d also be super fun with some sprinkles. Gold and silver sprinkles certainly do come mind. However you decorate them, I hope you enjoy them. 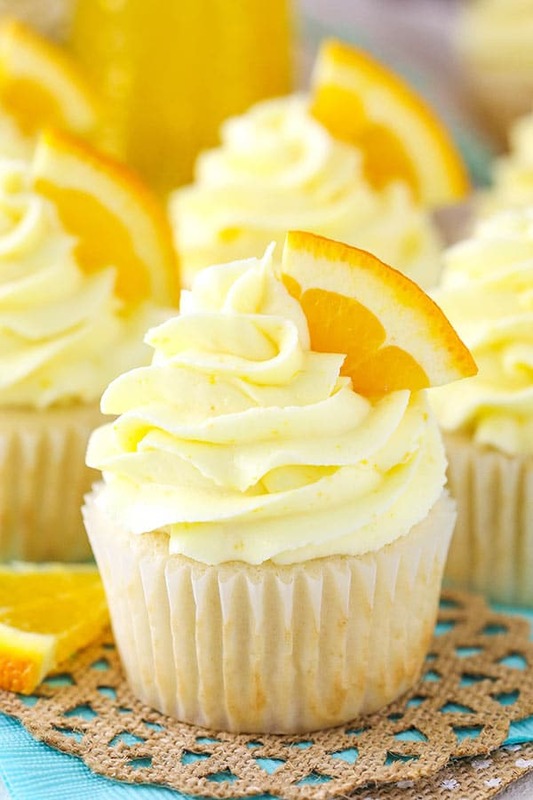 They are wonderfully moist and full of mimosa flavor! Have a happy, happy New Year – I’ll see you on the other side! 1. Add the champagne to a medium sized saucepan and cook over medium heat until you’ve got a 1/2 cup remaining. Don’t boil. To measure how much champagne remains, pour into a glass measuring cup. Add it back to the pan if it needs longer to cook down. When done, refrigerate until cool. 2. Preheat oven to 350°F (176°C) and prepare a cupcake pan with cupcake liners. 3. In a large mixing bowl, cream butter and sugar together until light in color and fluffy, about 3-4 minutes. Do not skimp on the amount of creaming time. 4. Add sour cream and vanilla extract and mix until well combined. 5. Add egg whites in two batches, mixing until well combined after each. Scrape down the sides of the bowl as needed to be sure all ingredients are well incorporated. 6. Combine dry ingredients in a separate bowl, then combine the milk and cooled champagne in a small measuring cup. 7. Add half of the dry ingredients to the batter and mix until well combined. Add the milk mixture and mix until well combined. Add remaining dry ingredients and mix until well combined. Scrape down the sides of the bowl as needed to be sure all ingredients are well incorporated. 8. Fill the cupcake liners a little more than halfway. Bake for 15-17 minutes, or until a toothpick inserted comes out with a few crumbs. 10. While the cupcakes cool, make the frosting. Combine the butter and shortening in a large mixer bowl and mix until smooth. 14. Add the remaining orange juice and the champagne as needed for the right consistency of frostingand mix until smooth. 15. Pipe the frosting onto the cupcakes. I used Ateco tip 844. Congratulations to you both. Awesome news, Twins ,thanks for sharing. Congrats on the twins. Twice the joy! 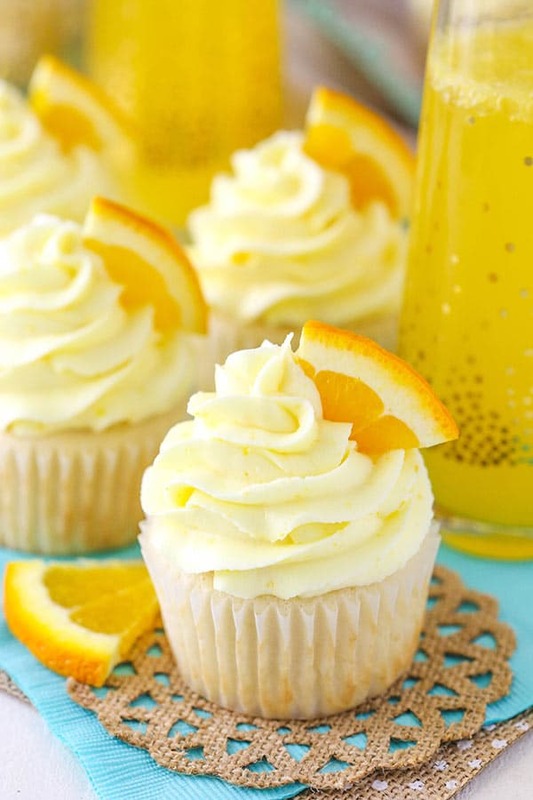 I was wandering if fresh squeezed orange juice could be used for a non alcoholic cupcake and reduce it as well to make a orange cupcake? Thank you so much. These look so refreshing after all the holiday foods. 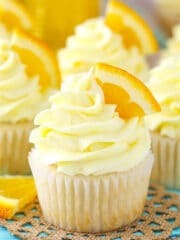 For an alcohol free cupcake, could fresh squeezed orange juice be substituted? Thanks. I’d suggest replacing with water. Hello! 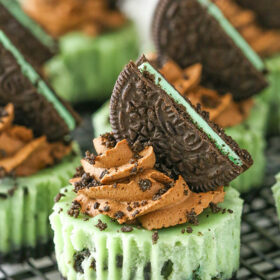 Did you use a standard size cupcake pan for this recipe or mini? Thanks! If I wanted to make this into a two layer cake, would I have to double the recipe? Yes, you’d want to double it. You can use butter instead of shortening.